Frankly, I never thought I could make something like this. 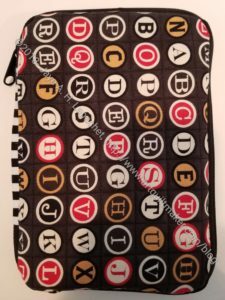 This is another pattern from the Crafty Gemini Organizer Club. It is one of the bonus patterns. I think it would make a great gift. I did, though, and while I struggled with some parts, it wasn’t as hard as I thought. I feel like I am becoming a zipper expert. I can certainly get my zipper foot on and off the machine (screwdriver is involved) with lightening speed. I can now shorten zippers with confidence (remember my fit about the zipper shortening with the Sweet Harmony bag?). I have put in 16 zippers, I think, in the last month. WHEW! I am trying to think what I can put in this bag. I reversed the pockets by accident, so the vinyl pocket is on the wrong side. It isn’t so wrong that I felt I had to rip it out, but I will get a zipper pull to help pull the zipper away from the spine. 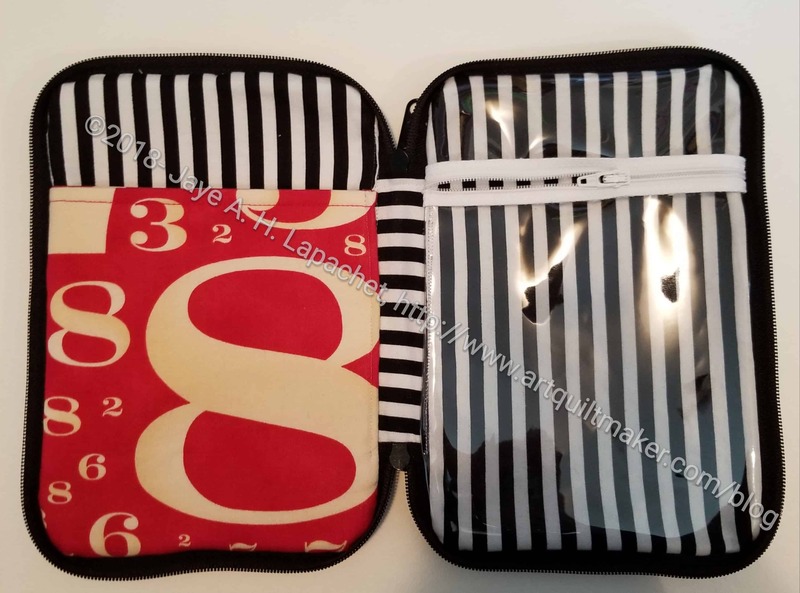 The fabric for the outside and the inside slip pocket are both from the Cosmo Cricket line. I made the first Stepping Stone quilt out of that fabric. 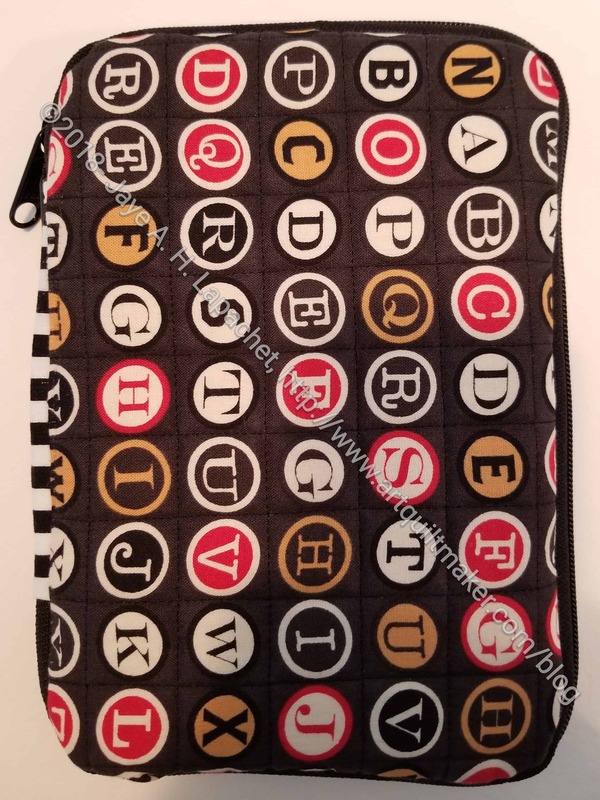 I am out of the typewriter key fabric in black, which is a shame, but I will use another black that works. 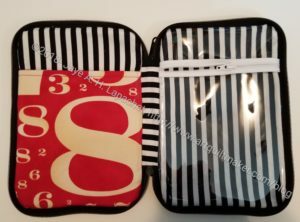 I used the stripe on the inside, because it works so well in my handbag (purchased, by Pixie Mood). I’ll use it again in other projects in this club.